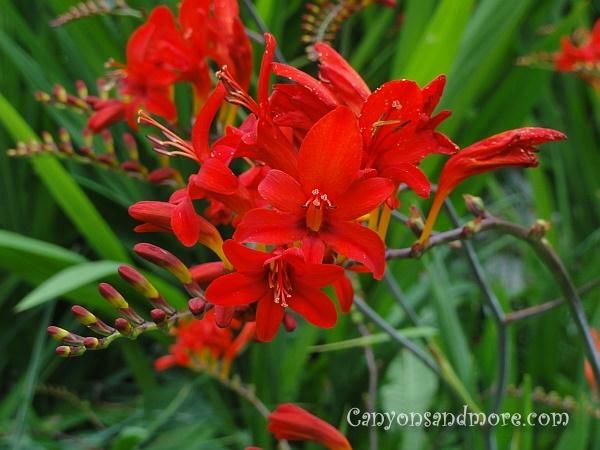 Anywhere you see red flowers, they really stand out from the crowd. 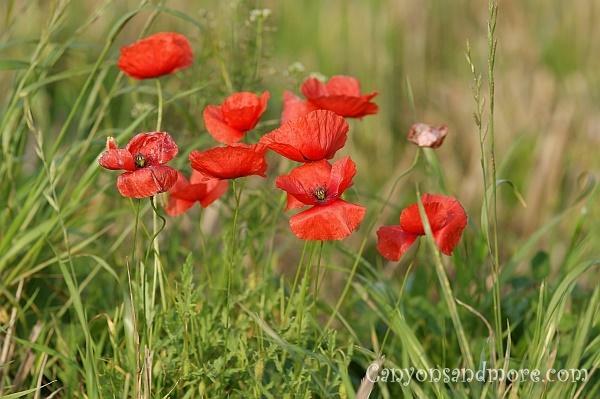 Red poppies in the field just say summer all over. 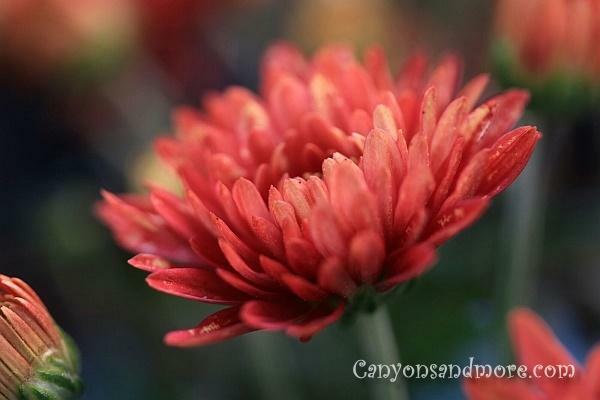 Blooming red chrysethemums perfectly match the typical colors of the autumn season. 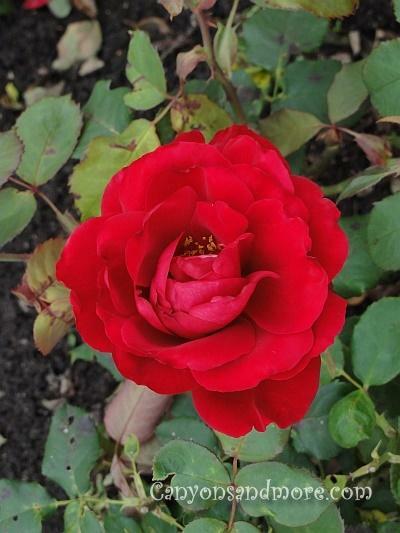 A red rose bush adds beauty to any garden. 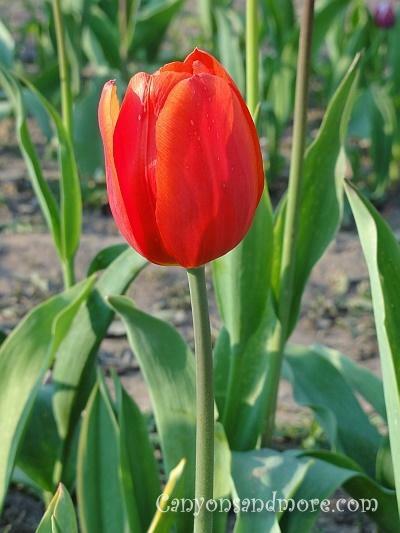 Looking inside tulips after they have opened. 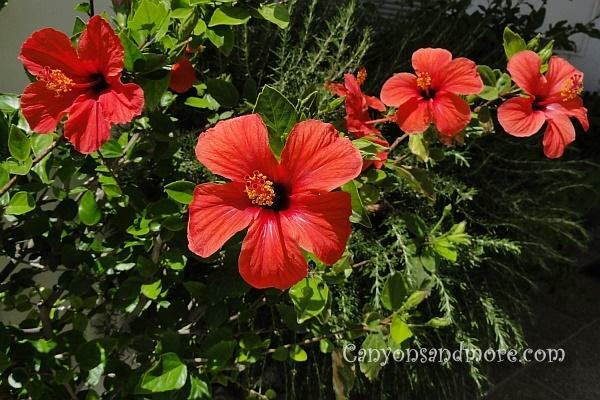 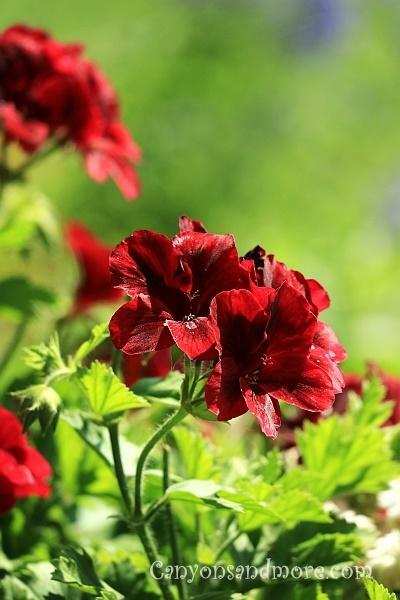 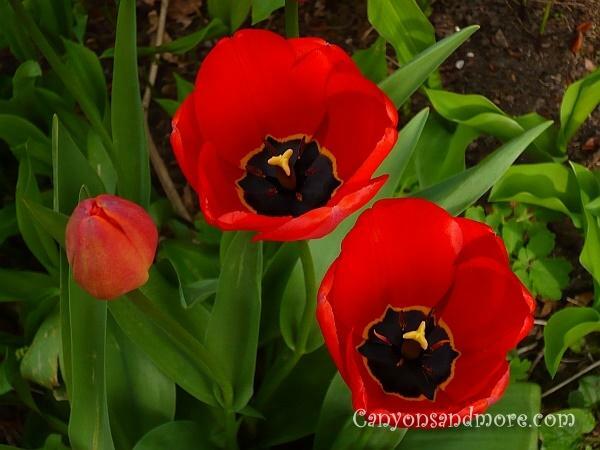 The name of these red flowers is unknown. 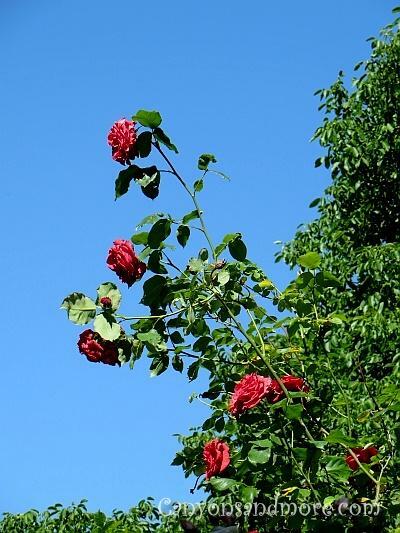 The queen of the flowers; a red rose. 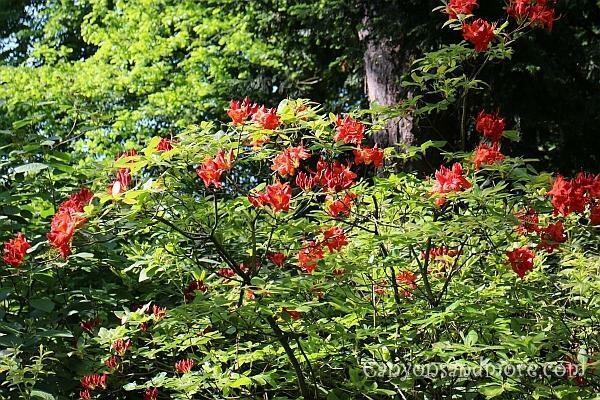 A bush of unknown red flowers blooming in summer.